Seasons changes cause skin changes. Due to the lack of sufficient moisture and fat, with the arrival of colder days, skin aging can be seen on dry skin. Transition from one year to the other requires adapting the skin to new conditions. In doing so, we must primarily reduce the impact of external conditions. The most frequent occurrence during low temperatures with cold wind is sensitive and red skin. Very common reactions on the scalp are: scratched and irritated skin with scurrying and numbness. Staying in the warm areas also drains the skin, so it is very important to properly nurture. 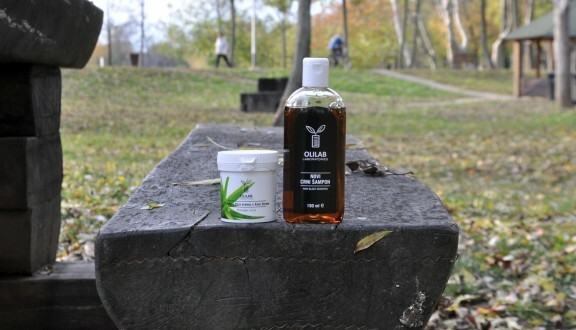 OLILAB is a new Black Shampoo that can regulate the amount of fat and the moisture level on the scalp during cold weather with its ingredients. The new black shampoo can help in reducing the symptoms of dry scalp accompanied by redness and itching. Active shampoo components can reduce inflammatory processes on the scalp and, after regular use, bring the skin to a normal level where hair does not glitter or stick. The result of such skin conditions is hair loss, and the New Black Shampoo can stimulate the growth of new hair. In the heavier forms of inflammatory skin on the body, hands and isolated areas with highly nutritious oils such as coconut, olive and almond oil, Ichthyol cream can reduce the symptoms of ringworm, eczema, dermatitis and psoriasis. Ichthyol Cream with Aloe Vera is a special unique formula of cream, which has a dual function in skin and scalp problems. In places where the Black Shampoo does not work, the Ichtyhol Cream can work without corticosteroid help to reduce the symptoms. Along with its natural composition and the addition of shea butter is recommended for children over three years of age. The best results come with a combination of Ichthyol Cream and New Black Shampoo. Apply cream before washing scalp, leave on the scalp, wash hair with Black Shampoo and apply cream again after washing. Sometimes it is necessary to dilute the Ichthyol Cream with neutral panthenol cream when used because of its stronger effect it is possible to feel a bit weaker on the skin.